Designing and building your own motorcaravan gives you the freedom to create a distinctive holiday home tailored to your needs and also enables you to control the cost. Whether you want to fit out a van, renovate a camper, revive an old model or build one from scratch, this manual will take you every step of the way. This new edition includes up-to-date information on electrical systems and water supplies, as well as sought-after storage options and weight-saving tips when working with wood. 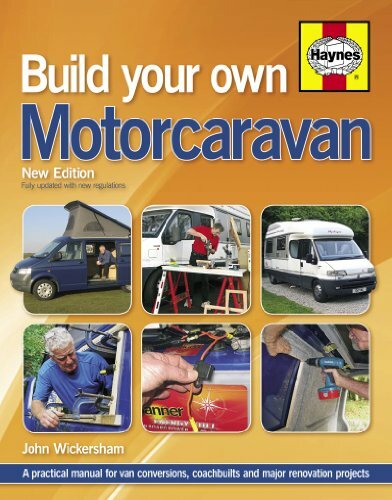 Armed with all the facts and many step-by-step instructions building your own motorcaravan quickly becomes achievable. Written in a friendly and accessible style with technical details explained. Informative self-build approach focusing on the requirements of the individual. The implications of the latest European standards and regulations. Vehicle load limits, weight distribution and suspension upgrades. Extensive body detailing, including the installation of windows and ventilators. Layouts, furniture construction and storage. Up-to-date guidance on special systems: water, gas, electricity, heating and refrigeration systems, checked by experts. Step-by-step photographic report showing a panel van conversion from start to finish. Choosing and fitting appliances. Comprehensive list of specialist component suppliers. Appendices include important legislation, regulations, norms and standards. John Wickersham is the author of Haynes s long-established titles in this market: Caravan Manual, Caravanning Handbook, Motorcaravan Manual and Motorcaravanning Handbook. He draws on his extensive personal experience in writing practical books and magazine articles about caravans, motorcaravans and home improvements. His DIY expertise includes the construction of two coachbuilt motorcaravans, a campervan, three kit cars and his home in Bedfordshire.